5 Ways to End "Board Room Blahs"
2. Save time. Use a consent agenda to reduce reports by distributing them in advance and asking for one motion to accept the consent items. 3. Stay focused. Keep a copy of the strategic plan on the Board table. Better yet, laminate a copy that directors know will be a resource at the meeting. 4. Consistent messaging. Take 5 minutes at the end of the meeting to decide on the main message that directors should communicate to members. Create an executive summary or 'One Voice' and distribute to directors so they deliver consistent messages after each meeting. 5. Assess meeting effectiveness. Use the back of the agenda for 1 or 2 questions to ask before the meeting adjourns: a) Did the meeting advance the mission and serve the members; b) What can we do to improve our next board meeting?" A complete list of (free) resources and templates for Boards of Directors can be found at this link. Note: Bob Harris, CAE, offers free governance and management samples at www.nonprofitcenter.com. Bob notes ideas in the "Board Room Blahs" are compiled from "experience and colleagues on ASAE's listservs." 1. There's no documentation about the status, absent sending an email AFTER the call saying "this is to confirm the current status of the project discussed on the call dated (insert date)" along with details of what was agreed to. There are occasions people want to do a phone call on purpose: to avoid being documented. A problem later or any misunderstanding from the call turns into a "he said, she said" if not documented. It is, however, a plus to have an OPTION to talk separately for any clarification when something genuinely cannot be understood otherwise. 2. Can a "team" of people really commit to the same day and time weekly? My experience with any regularly scheduled phone meeting is "some" show up and most have conflicts - so the "team" on the call ends up being something smaller than the team. With all the document management options now - which are especially useful for status updates - there should be no need for weekly phone calls for status reports. If any status is available in less than a week, isn't it better to report when known versus a future scheduled time? 3. The pleasantries that end up taking so much time. This week, two vendors I never met started the phone conversation asking about how my holidays were. "Nice" and "good" resulted in follow up questions, "did you do anything special?" etc. Those holiday quizzes are, however, a break from always being asked about the weather at the start of a call (my ultimate pet peeve for conference calls.) Is it more of a courtesy to establish a bonding ritual on topics of no consequence or better to just cut to the chase and discuss the issues that are the real purpose of the call? 4. Personal preference for communications. People have definite personal preferences for how they want communications - and often those who prefer one type (phone calls versus email, for example) can be annoyed by another type. For example, if you get a phone call, but prefer to answer by email (absent the person giving you email as a way to respond in the voice mail). Or if you send an email, and the person prefers to responds with a phone call. Where should the courtesy be if each prefers a separate method? Regularly scheduled updates are important. How you manage and participate in them is important too. One of my early association presidents assigned a 2-day time period to a project that would likely take other associations a year or more to resolve; and it really was accomplished in two days. Her theory: "Groups always take the amount of time you give them. If you say they have a year, they take a year. If you say they have a day, they take a day." Time and time again I find the time it takes to reach an outcome really is set by the leader or by the association. When I facilitate planning meetings for other associations it's often shocking to me how many still have monthly committee meetings - and it really does take all year to get something finished. One small association had 10 committees that met monthly - that's 120 meetings of committees alone. Staff had no time to do anything but attend meetings and plan for the next ones. Urging a committee-intense association to try to set shorter time periods for any given association project can be a surprisingly difficult step for many associations to take - either they just don't believe that there is the potential to move forward quickly or they believe that committee members genuinely want (or need) to meet every month and they'll feel less invested without live "progress" meetings. Tip for the New Year: If you have ANY committee that meets monthly, try to see if two meetings would be better. If it's not, you can always go back. If it is better, that's a lot of unnecessary meeting and volunteer time you have saved - that could be spent implementing instead. Groups always take the amount of time you give them. 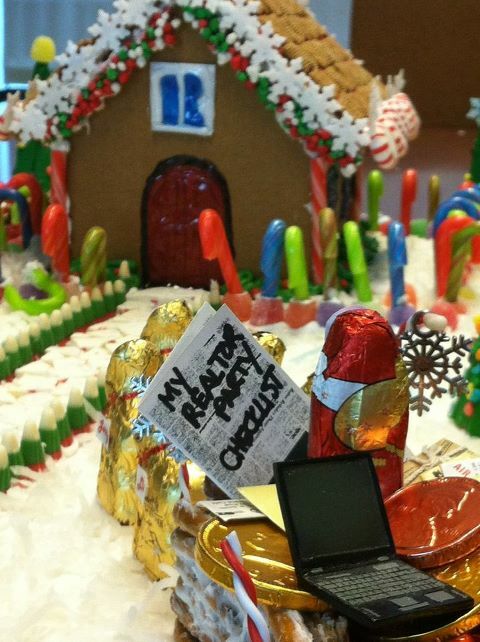 The DC office of our national association recently held a staff competition for gingerbread house design. This is actually a fun idea that could be scaled to even a small office with a few employees, multiple associations in different states, or even a member competition. 1. They purchased pre-built gingerbread houses at a local grocery store ($15 each) - which standardized the main structure; and provided "basics" such as gum drops, little candy canes, frosting, sprinkles. Could buy more materials or add on to the structure, but core had to be the gingerbread house. A video holiday greeting card was created which encompassed all the gingerbread houses and sent to all staff. 1. 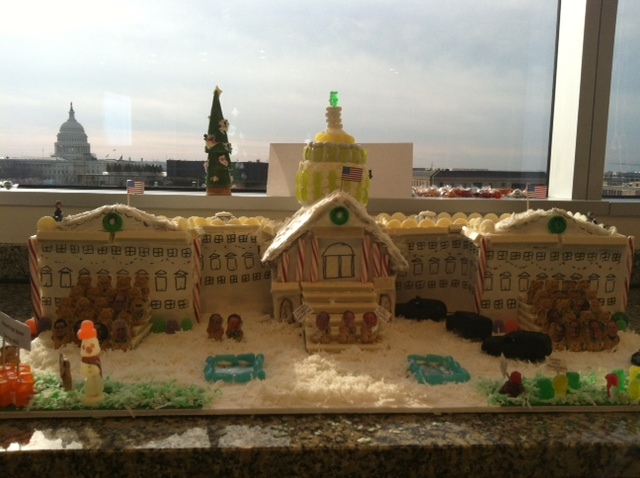 The winning gingerbread house (of the US Capitol) used cardboard, frosting sheets, edible markers for the rest of the structure. Since I really don't cook or do crafts, I didn't even know that there were such things as frosting sheets and edible markers! 2. I would likely to do two awards/prizes if not all in the same building/same organization - one with judges; and another that was a popularity contest (where getting votes was really encouraged). Popularity votes could be online or even cash donations counting as votes that could go to a charitable cause. 5. For competitions that aren't all in the same building - I believe it would be possible to have multiple people in various towns/states order the same house online; and (not to be a Debbie Downer but to recognize various resources to participate) it might also make sense to have a limit on how much can be spent on supplies - or limit it to certain supplies that can be used. Recently a member began dictating what she thought needed to be included in a communication to a member who has expressed unhappiness to other members about a change, without having ever contacted staff to just get the correct info directly. The member relayed, "Aside from what she says are the questions, I believe what she really needs to hear from the association is this: 'We're here for you.' "
Maybe those four words really are the assurance that members need in these tough economic and challenging times. Add it to your communications: We're here for you. 1. Trust, but verify: I'm sure everything you hear from your teenager, your members, your staff and your vendors is true. But it's worth verifying from time to time. If a staff person says something can't be done it sometimes makes sense to ask a lot more questions as to why they're certain of that. Sometimes the question just hasn't been asked to the right person or the answer evolved over time but the information never filtered to them. 2. What works for one may not work for the other: If you have two teenagers you may find what motivates one wouldn't motivate the other, or what rewards one would not reward the other. Often with volunteers and staff we may do the exact same things to reward or motivate two very different people. Before giving every volunteer the same plaque, find out first if they even want a plaque. Ask a leader the simple question about what they want to accomplish before thinking you have that answer only in your strategic plan or past experience. 3. It's really not okay to break the rules: Sometimes I read association blogs and they suggest breaking the rules or operate in an association world with no rules - so I assume they don't manage associations. OK, everyone has read "Lord of the Flies" - it doesn't work. If you want to test the rules, then be prepared for the penalties for doing that. If you don't like the rules, then change the rules. 4. Get a tutor when you need one: It's widely realized that sometimes if there's an area where your need teenager needs help, you find a tutor. I believe you should hire a tutor your entire life. If there's something you don't understand, then find someone to teach you. I had an employee lacking experience with accounting - so I suggested signing up for an accounting class. He wasn't interested. Sometimes if you don't get the tutor you're really never going to fully learn or understand important aspects of association management. 5. Find the convincing argument: Teenagers try to master the art of the convincing argument - who's the best person to ask, what's the key thing to say that might work, if you get a no, what's the next approach. Association management is so much easier with those same practices - who's the best person to ask someone if they'd like to be a future officer (note: It may not be the chairman of your Nominating Committee), what are the points that matter to the person you're asking (versus the points that matter to you), if you get a no, then what's the next approach. Each situation should be considered unique and the elements of the convincing argument should be applied. 6. If they miss one deadline, they will miss others: If there's a deadline and it doesn't matter, then you don't have deadlines. Hopefully by high school the concept of deadlines is being constantly reinforced. I have found throughout my career that those who miss a deadline are going to do it again. There was a vendor who promised a proposal by a particular date - four weeks and multiple excuses later, still no proposal. Did I know after the first date went by that there was no reason whatsoever to trust the next deadline? Absolutely. 7. Shower the people you love with love: It's worthwhile to treat everyday accomplishments as accomplishments. Getting an A on a paper, looking adorable or doing something good are worth recognizing regardless of the age of a kid. Same is true with volunteers, officers and staff - if someone writes a great newsletter article, did a wonderful radio interview, ran a great meeting, secured a sponsor - tell them! When someone does something great, and even good, show them the love. 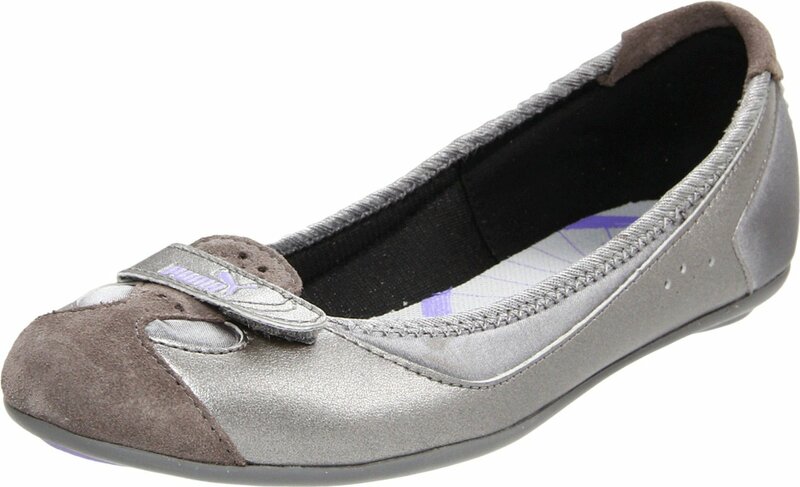 I have finally found the dream travel shoe: the Puma Zandy. Looks like a flat (and is) but it's really a sneaker. So comfortable, really easy to take on/off, and perfect for long treks (or even running) through an airport. 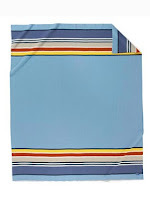 Also easy to pack/carry around as they are so lightweight. I've also convinced myself the silver color matches everything. They also work as business casual. Picture from Amazon site, where I ordered it ($55). I've also seen at Nordstrom. 6. The drop area is not on a green, but rather in the upper portion of the 18th fairway. A flag stick is centered in a 15 ft diameter chalk circle. Spectators watch from a safe distance on the approach apron to the 18th green. 7. 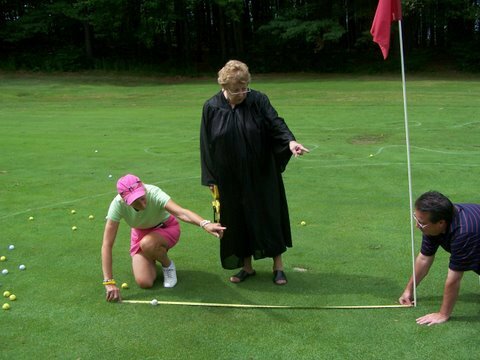 Whatever ball is closest to the flag stick wins a prize. Members are assigned as “judges” to determine which ball is closest. Before okaying the activity, we checked with the insurance company of the association and found that no rider was needed for the event, and that it would be covered. We also confirmed with the golf course that they had coverage in the event there was damage to their building or to cars in the parking area should golf balls go awry. The pilot was asked to provide proof of insurance and indemnification for use of the helicopter during the event. This was not the first time a golf ball drop had been used as a fundraising event at this particular golf course, including that particular pilot and helicopter, so they had little concern about it. 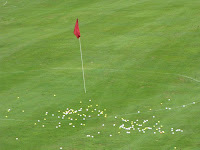 They had a plan for how to clear the golf course of the dropped golf balls in a short period of time. In addition, the pilot had done this for other groups so he was experienced with the details. 5. It got media attention, where many fundraising activities do not. They sought out the media. Association Executive David Patt recently blogged about an association that did not fill a vice president position each year because the bylaws required the position to plan the programs each year. Volunteers who would agree to be an officer did not want to agree to that additional task. He believed the bylaws needed to change. I agree. Bylaws should not give assignments other than authority and what the position by title would imply. Why would a vice president need to be “required” to plan programs each year? There are associations that believe the best way to have a useful president elect/vice president or first vice president is to require them to do tasks. Why? One thought is that it familiarizes them with another aspect of the Board; another thought is that the “learning” year needs to have more to do. Some Nominating Committees either don’t know or never mention the “required” additional tasks that would not have been anticipated by an incoming officer candidate, so that person can be entirely surprised to find they have something they must do when moving into the position. Many volunteers may absolutely dislike certain tasks – including raising sponsor funds or having to plan programs; and other volunteers genuinely enjoy those activities or find it’s where they can be really helpful. Requiring a reluctant officer to do a task that many others could easily do instead may be a bad move. It could make some volunteers not want to be an officer because they don’t want to do tasks that aren’t at all connected with the officer role; or it could doom the task to failure because someone who doesn’t want to do it or lacks the skills/interest to do it gets that assignment. If they do poorly at that task, will it be considered a sign of their potential talent as president? If non-officer tasks are in your bylaws as position requirements, remove them. Find the right volunteer for the right association volunteer position task instead. Separately, the same is true for organizations that require a member to be the elected Treasurer before moving into the vice president or president positions. Treasurer is a unique role that should require very specific financial expertise; and not be a “learning” position for those who may not have any financial background or interest. Associations (and especially the CEO) should not want someone unqualified as Treasurer. There may be many qualified people who would be interested in being Treasurer as long as they never need to move into the other officer positions. Let them do that. Association Executive Jim Haisler compiled this list of employee perks, morale builders and rewards from a bunch of colleagues. Thanks for all these ideas, Jim ... and also thanks to all who contributed to the list! 1) Holiday shopping day: Each staff person is assigned a day off in late November/early December to allow them to get their shopping done and reduce stress. They get paid but cannot switch the day assigned to them. 3) Paid birthday day off: Give staff their birthday off, paid. 4) Rotate extra holidays: Rotate giving staff a day off on each of the holidays that the association is still open - Martin Luther King, Presidents Day, etc. 5) Gift card and/or reward points contest: Through the use of a contest or other means created by staff, distribute your credit card rewards points to staff for them to choose an item from the credit card prize catalog. This works with gift cards the Association might receive or earn as well. Or, if you have to, buy $25 gift cards toward local restaurant or retailer (e.g., gas card) and create a contest to help boost morale. 6) Summer "attitude adjustment" days: Give staff 2 half days off during the summer months for “attitude adjustment." Stipulate that an employee can’t use it in conjunction with other vacation time. 7) Buying club membership: Purchase a Costco or Sam’s Club membership for each staff person. 9) "Good Deed" drawing: When a staffer witnesses a "good deed" by another staffer they drop their name into a jar. "Good deeds" can be for members, other staffers or a specific job well done. No limit on the number of nominations. The more times your name is entered, the better chance you have for it being picked for a Friday afternoon off! You can offer one a month or as an add-on to those long holiday weekends. Peer recognition, motivating environment and a little fun and competition all in one! 10) March Madness Tournament: Have each staff person pick a team or even a whole conference in the March Madness tournament. The winning staff person gets a day off, pizzas delivered to their home, or some other prize. 11) Pot luck lunches: Once a month everyone brings in a dish from home to have for lunch. 12) Casual days/theme days: Once a month allow staff to “dress down”. Or have theme days such as all wearing sports jerseys, college sweatshirts, or a specific color. Be creative, but more importantly, let them decide. Don’t forget to play along with them! 13) Flex days: Extra paid days off. 14) Work from home days: If it fits into your Association, and it may not work for everyone, allow your staff to work from home a day a week or one day a month. 15) Staff outings: Take the staff our once or twice a year as a group. Close the office and bond. Competitions are excellent- like laser tag or billiards. 16) Lunch meetings: Hold your office staff meetings at lunchtime and order in lunch for them. 17) Birthday lunches: To celebrate staff birthdays, host a once-a-year birthday luncheon/pot luck lunch. 18) Swag birthday presents: Take the freebie items you get from ordering office supplies or even those you pick up at conventions, wrap them up and let staff pick from the pile on their birthday. It’s cheap and fun. You never know what you’re going to get. 19) Afternoon ice cream party: Once a month surprise your staff by buying them ice cream or some other special treat. 20) Reward cost saving ideas: Okay, so they didn't get a raise but would they like to earn a bonus? Ask your staff to come up with cost saving ideas and then reward them with a percentage of the money the Association saved in the first year. Maybe make it a moving scale. The more they save, the more they earn. Hey, it's free money! 21) Bad weather days: Have a rotating schedule for having the phones forwarded to one line that someone picks up. Remote access programs can allow you to access most programs at work from a home computer. 22) Post–it job description day: Employees write the duties of their job that they dislike doing on post-it notes and then exchange them with other staff who may actually like doing those things! 23) Community service project: Let each staff person choose a local charity/project that they want to support and then give them a day off to assist in that project. Better yet, close the office and everyone go do it together! Don’t forget to issue press releases that the Association does things for the community. 24) Weekly staff meetings to synchronize the team and each other’s calendars: Cut down on the impersonal email clutter we usually send this information out in. 25) Recognize staff tenure: Include it on their employee name badges or elsewhere. Promote the fact that you have long term staff. 27) Allow staff to wear gym shoes in the office: Some Associations require that staff wear black gym shoes or at least ones that are clean and presentable. 28) Invite spouses to staff after-hours or staff events: Build camaraderie, friendship, and support among staff and their spouses. We spend a lot of time with these people; our significant others might like to get to meet/know the people we spend so much time with. 29) Institute a staff nap period: Have a quiet place where staff can slip away for 20-30 minutes to nap. 30) Offer an employer-funded “wellness reimbursement” plan: Reimburse your staff for personal expenses they incur for “wellness items” which might include exercise equipment for their home, gym memberships, work out videos, or whatever. Be sure your policy is very specific about what is included or excluded. 31) Provide healthy snacks in the office: Think about fresh fruit, vegetables, smoothie machine and ingredients. 32) Flexible spending medical accounts: Includes HSAs (health savings accounts) or reimbursement accounts. 34) Employee Night Out: Take staff out to dinner. 35) Strategic Planning participation: Invite all staff to you strategic planning session to help get them motivated to the ideas that will be presented to them anyway. Let them offer input and be inactive in the strategic plan discussions. 36) Make 'em laugh: Be goofy, be nutty, dance. As the AE, set the tone for an uplifting environment. If the day has been particularly stressful, walk out into the main office with your pants pulled up high or socks over your pants or some other goofy thing. Wear a silly hat or crown. Make them laugh! 37) Massage: Hire a massage therapist to come into the office once a month or give gift cards for staff to go see one on occasion. 38) Take a movie break: Run a movie in your training room for staff to go sit in and watch for two hours. Buy popcorn, etc. Or close the office for two hours and go to a local theater. 39) "Rock Star customer service": Place pebbles next to jars on each employees desk. When someone oberves or experiences good customer service from that staff, put a pebble in their jar. 40) Bad situation rewards: Recognize staff for handling a bad situation well. Buy a stack of gift cards and leave them on your desk to remind you to recognize someone for doing a good job. 1. Printed on the back of name table tent cards. 2. On the back of staff business cards. 3. At the bottom or reverse side of meeting agendas. 4. Framed on the conference room wall. 5. Imprinted on coffee cups. 6. On the back of conference name badges. 8. On the cover of the leadership manual. We once made the mistake of putting our mission statement on oval-shaped wood that ended up looking like a toilet seat cover on the wall. Don't do that. If you've never checked out the staggering volume of free Bob Harris materials on his site, go there now! Huge volume of valuable information for associations. 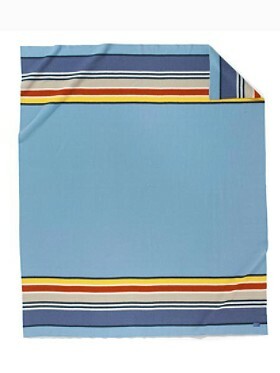 A great corporate gift: A Pendleton blanket. Price range is about $190-$300, depending on what you order. It's a practical, usable and beautiful gift. I've received them twice, and love them. 1. Attendees pay a fixed amount (like $5 or $10) to buy a lei (and that sentence alone makes some people buy) - and they can buy more than one. They wear them during the event so the number of people showing support is obvious. 2. Those with leis are asked to stand - and they put (and keep) their hand on either their HEAD or their TAIL. A coin is flipped. If it's HEADS, then those with tails must give up their lei and sit down. If it's TAILS, then those with heads must give up their lei and sit down. If they bought more than one, they can give up one lei and remain in the game. 3. Those remaining with leis again put their hand on either their HEAD or their TAIL - and a coin is flipped. Those who lose give up their lei and sit down. 4. This continues until there is only person left standing - who wins the prize. Keep the leis to re-use at the next year's holiday party! Isn't that easy? They raised several hundred dollars for a local charity. After my first year of Association management, I came to the conclusion many others find as well in this profession: there is no end to the volume of work and no end to the volume of things there are to worry about. When asked how I've "avoided" burn-out, the simple answer is I didn't - I just learned how to work through it. 1. Change your approach: If you can't figure out how to manage your volume of projects, change your approach. A Senior VP at our National Association once told me everything changed when three days a week she spent the first hour organizing her work day - from home. Sometimes cutting out every distraction at the start of the day can make your day hugely more productive. Make four lists - a) the 3 things you want to do the least; b) the one thing that must get done, even if nothing else gets done; c) what no one will care about if it never gets done; and d) everything else. Do whatever part of the 3 things you don't want to do the most before you even leave your house - then you don't have to filled with dread the entire drive in to the office. And be sure the thing that must get done each day gets done. Sometimes I even time myself to see how many things on my list I can get done in an hour. Whatever isn't your typical approach - try that. 2. Do not give up the part of the job you actually love: There is surely at least one part of association management you love. Whatever that is, don't delegate it to someone else - even if the perception is that it's below your position title. Being happy doing something is good for your own professional happiness. I personally like writing the association newsletter so I do it. One bonus to being the CEO must be that you get to keep at least one part of the entire list of things there are to do that you personally enjoy. On the flip side, if there is a part of your job that you detest, are you really sure it can't be delegated or outsourced? 3. Add something life-changing to your life: If you have an insurmountable amount of new things in your work life, and can't think of the last time you added something new to your personal life - add something. Nine years ago, my new thing was a puppy - and he changed my life. Having no choice but to walk him during the day actually put me outside during the day, introduced me to my neighbors, and added a massive element of joy into my routine because dogs can't help but be joyous. And no, I didn't have time to have a dog. You might not have time to take kick-boxing, or ballet, or learn to paint, or finally volunteer for an organization whose issues you care about - but you may find that whatever you can carve an hour out of each day to do - or even an hour each week - or an hour each month could change your life. Don't let years go by without anything new in your life. 4. Come to peace with the fact there is evil in the world: I have seen colleagues just walk away from the profession because of the amount of energy (and grind) it takes to try to make everyone happy or to make that evil member grow to like the organization, or grow to like you. You cannot do association management and make everyone happy - it's just not possible. Some people are just evil and you may not have the power to change that. The sooner you can come to peace with it the easier it is to start the next day or start the next project. If a situation or person is draining the life out of you, call another association executive and you will get empathy and find you're not alone. None of us can avoid the bad and the evil, but if you can't move through it, you won't slow down your burn rate. 5. Feeling good and looking good: In the immortal words of Billy Crystal, portraying the eternally suntanned and well-dressed actor Ferndano Lamas, "it is better to look good than to feel good." Like the thought about changing your approach to your work day, if you just plain don't feel good then see if you can look good. Finding a way to distract yourself from feeling bad might make you feel better - like finding makeup to remove circles under your eyes or dying your hair to convince yourself you are not going gray with work. But of course it's crucial to feel good - and your burn out could actually be just feeling terrible for a health reason - maybe you need to give up gluten or are allergic to dairy or drink too much coffee. By having a complete physical, including checking for food allergies, you may find you can feel a lot better just by changing your diet. It's possible to have a life, be super-charged productive at the office, and enjoy what you do. But it takes work. You will burn-out, and it's possible to get through it. Does your Association logo work with social media? Many association logos were designed before social media, so there wasn't consideration as to what would happen to it when squeezed into a size smaller than a postage stamp. Look at your own association logo and how it appears on social media sites. Can you do better? 1. Are you unique? The logo my association has used for decades is a trademarked symbol that is also used by many thousands of others. So it would have been difficult to quickly distinguish us from other associations also using that logo if that showed up on News Feeds on Twitter, Facebook, or others. 2. Does it fit? Some logos are so large that posting it results in either getting a portion of the actual logo image, or the image is so tiny that it's impossible to see what the text or images are. It it doesn't fit, consider a change to your logo for your online presence. 3. Do you like it? In a sea of text on social media sites, how color and images are used in logos makes certain organizations stand out. As people quickly scan through hundreds or thousands of options of what to read, finding an apparent and recognizable logo might encourage them to stop and read - which is a big point of even doing social media. If your logo is social media friendly it gives the impression that you might do the rest of social media right too. If you haven't thought about your logo's online image, check it out. Modify or change if you really do need to. I'm always amazed how people at a microphone don't know how to quiet the room. What works best: Saying SHHHHHHHH (as if hushing a baby or quieting someone speaking too loud) into a microphone. Next best: hitting a knife against a glass to make a sound (like for a wedding toast). A gavel could also work but if the speaker is not chairing a meeting that sounds too harsh. What never works (or takes forever to work): Saying over and over "Can I have everyone's attention, can I have everyone's attention" or "would everyone please take your seats, we're about to get started." Staring at the crowd waiting for them to naturally quiet doesn't work either. Remember, to quiet a room, just say make the SHHHHH sound into the microphone. It works quickly.